Travelling across New Zealand’s North Island will take you on an adventure of a life-time. With stunning landscapes to explore and adventurous activities to enjoy, you’re in the driving seat to craft your perfect New Zealand Itinerary. It’s a long distance to circumnavigate the North Island so you certainly need 2 weeks to cover all the ground. 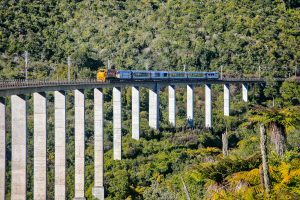 To complete this full loop I highly recommend outsourcing part of the journey to the comfort of the KiwiRail Northern Explorer rail service, which will transport you by train between Auckland and Wellington. Therefore allowing you to drive one-way north or south and still cover all the main sights the North Island has to offer. I pride myself on researching the very best places to visit in every country I visit. 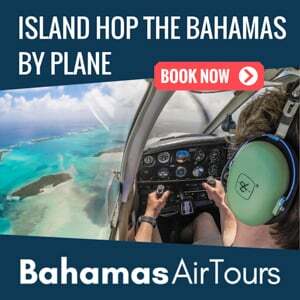 So I am able to create the perfect itinerary that balances value for money but with a sense of pace to cover all the ground in the limited time available. 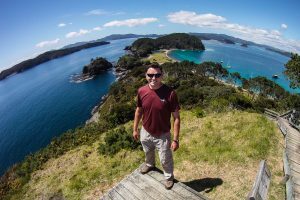 My 12 Day North Island Road Trip is the exact route and activities I followed myself. All the accommodation listings are 100% unbiased and unsponsored; I stayed as a paying guest at every hotel listed and I always select the best places to stay, so I can assure you of their quality and value. Please leave me a comment if you have any questions! *Driving Times do not include breaks or stops! Most visitors to New Zealand will land at Auckland’s International Airport. 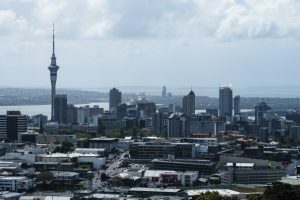 New Zeland’s biggest city, Auckland and it’s suburns are home to the majority of the nation’s population. A modern, diverse and growing Metropolis, Auckland is a city that requires a stop-over. Book yourself in the Sebel Suites, which are centrally located along the waterfront area next to Viaduct Harbour. To get your bearings, visit the Sky Tower, with panoramic views across the city skyline. If you’re feeling the calling to take part in the New Zealand adrenaline pumping activites, the Sky Tower or Auckland Bridge both offer walks or bungee jumps. For your Second day in Auckland consider a lazy walk exploring the cities main central sights; taking in the green parks, downtown area, harbour waterfront and university districts. If the idea of a longer 16km walk which encompasses Auckland’s suburbs and volcanic cones takes your fancy, then hiking Coast to Coast is a great way to see the city. Take the train from downtown to Onehunga. From there the 16km walk crosses the suburbs and takes you to sights like One Tree Hill (pictured) and Mt Eden (pictured). 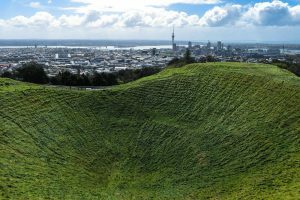 From the volcanic crater at Mt Eden you will be able to survey the Auckland urban landscape, with the prominent city skyline on the horizon. It’s a full day activity, depending on how fast you walk, but take the time to absorb the green spaces. Pack clothes for changeable weather conditions; Auckland is famously known for experiencing all four seasons in one day! A third day in Auckland is fully justified, to give you the time to shed your travellers jet lag, before venturing across the North Island. And what better way to do this than with the perfect antidote of wine tasting on the beautiful Waiheke Island. A short 30-minute hop on the ferry, Waiheke Island has a unique micro-climate perfectly suited to the production of wine. Vineyards provide wine tastings, although don’t expect them to be free! It’s best to book onto a guided wine tour of the island. 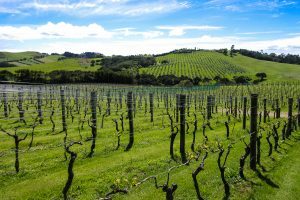 Waiheke Island Wine Tours provide a mini-bus transportation to various Wineries and their price of $110NZ does not include lunch or the Ferry tickets. 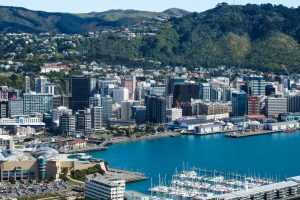 KiwiRail’s Northern Explorer service bisects the North Island and joins Auckland with Wellington, the Country’s Capital city. The benefits of taking the train are that it’s going to save you driving the 635km. The views from your window seat of the scenery rolling by is far superior than the view from any plane journey flying this route. The trains operating on this route are specifically designed for tourists. They are comfortable, with extra large viewing windows and an open air viewing carriage, so the glass wont obscure your photos of the stunning countryside as it races past. Unique engineering marvels along the way will interest even the most un-inspired train traveller. It’s a full day travelling with the train rolling out of Auckland at 7:50am and arriving in Wellington at 6:25pm. The Wellington Novotel hotel is a short walk from the Train Station. Located downtown Wellington, restaurant and dining options are abundant. Read more about crossing the North Island by train. Today is the start of your epic road trip across North Island. Commencing a journey that will take you back north towards Auckland, whilst stopping at all the amazing sights on the way. Collect your rental car from one of the many car hire companies located in Wellington. A short drive up the steep and winding road of Mt Victoria leads to this wonderful panoramic view of the Wellington skyline. Drive out of the city along highway 1 which runs alongside the Wellington Harbour. The road then splits into Highway2 through Hutt towards Featherston. 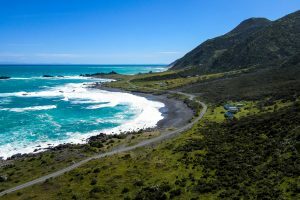 Our First destination is Cape Palliser, the southerly tip of North Island. The drive from Wellington to Palliser is 2 hours. Keep your eyes out for the colony of seals, the largest breeding site on the North Island. A brisk climb up to the Cape Palliser Lighthouse affords expansive views across the Cook Strait with the ice capped mountains of the South Island shimmering on the distant horizon. The road navigates rocky cliffs so beware of rockfalls and debris along this stretch of road. Your next stop is Lake Ferry, a 40 minute drive from Cape Palliser. The Lake Ferry Hotel is the perfect pit-stop, just intime for a pub lunch. Only a 30 minute drive from Lake Ferry, Martinborough is your stop over for tonight. 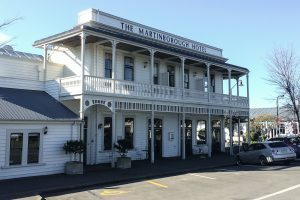 The Martinborough Hotel, overlooking Martinborough’s small village square is an elegant boutique hotel with large suites that emerge onto the picturesque wooden veranda. Serving pub food, the restaurant at the Martinborough Hotel will leave you replenished and well rested. 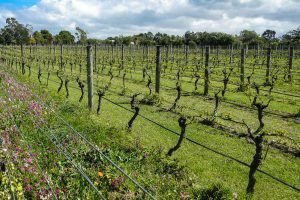 Not only does Martinborough provide a logical stop-over on your North Island road trip, but at the heart of the Wairarapa wine region you are now surrounded by vineyards producing some of New Zealand’s finest wines. Wine Tasting is a must do activity on your trip to New Zealand and there is no shortage of wine regions to visit. Whilst Martinborough may not be as big as the North Island’s Marlborough or Hawke’s Bay; Martinborough has one trump card which beats all the other wine regions of New Zealand, it’s small size. The vineyards surrounding Martinborough are all within walking distance of one another, allowing you a short stroll between tastings, leaving your car behind. Visit my Martinborough Walking Tour interactive map of vineyards to enjoy wine tastings at. With a final night at the Martinborough Hotel you will be ready to get back on the road tomorrow! A long drive awaits; 5hours 30mins worth! This route to our destination of Taupo takes a small diversion into the visually stunning Tongariro National Park. Situated in the Taupo Volcanic Zone, 3 volcanoes dominate the landscape with their snow capped mountain peaks: Mt Ruapehu, Mt Ngauruhoe (pictured) Mt Tongariro. The direct route from Martinborough to Taupo is still 4hours 30minutes, so it’s only an hour extra to the journey time. Leaving Martinborough early in the morning, the 338km drive to Mt Ruapehu takes 4 hours. 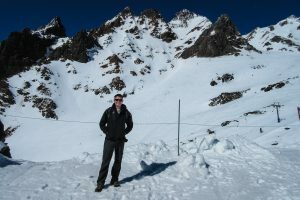 Once youre on the northern edge of Tongariro National Park, follow the signs to the Whakapapa Ski Area. The road meanders up the steep slopes of this active volcano to New Zealand’s largest ski area. Although in winter vehicles might need snow chains to make the drive. Whakapapa offers all-year round sightseeing chairlift rides up the mountain, open daily from 9am to 4pm. Although the last entry is at 3:30pm, so you have to ensure an early start here to allow for the 4 hour drive from Martinborough! 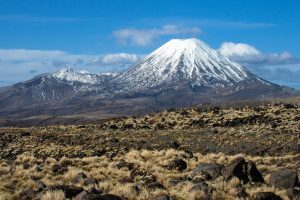 The views across the national park and to the neighbouring active stratovolcano Mt Ngauruhoe are stunning. You may recognise the Scenery from Peter Jackson’s Lord of the Rings trilogy which was filmed here. For Snow-sports lovers, skiing and snowboarding are available during the New Zealand Ski Season, June-October. Read more about visitng Mt Ruapehu and Whakapapa. Finally, today’s drive ends on the Shores of Lake Taupo. A 1 hour 15 minute drive down from the Whakapapa Village. The Hilton Lake Taupo hotel has excellent facilities to relax in at the end of a long day’s driving; A swimming pool, spa area provide a relaxing night’s stay. Taupo is the North Island’s outdoor mecca for adventurists just like Queenstown is in the South Island. There’s no shortage of adrenaline pumping activities here; Climbing, Skydiving, Jet boating, kayaking, sailing, bungy jumping. Todya’s drive is 2hours 15 minutes in total. On the drive out of Taupo, heading north towards Rotorua, make a quick stop at Huka Falls (pictured). Hukafalls Jet is a jetboating ride guaranteed to thrill on a half hour adventure that rides the Waikato River and into the base of the Huka Falls. Lake Taupo itself, is a volcanic caldera, which was formed by the world’s largest volcanic eruption in the past 70,000 years! Thi area is undeniably unique within an active volcanic area, a geothermal wonderland awaits in Rotorua. The drive from Taupo to Rotorua is 1 hour. The first encounter you have with rotorua is that of smell. A foul eggy smell propagates in the air here. The smell is Sulfur, a gas which is continually emitted from deep within the earth. Erupting geysers, Bubbling mud pools and steaming green fields fill the landscape here. A rich Maori history and culture can be explored at the Te Whakarewarewa Thermal reserve and village. 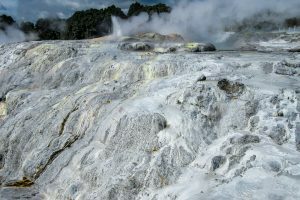 Read more about the North Island’s Goethermal Wonderland. Our final stop tonight is at the White Island Rendezvous Motel in Whakatane, an 85km drive which takes 1 hour 15 minutes. The Rendezvous Motel is run by the same White Island Tour company who operate boat trips to the magical White Island, your next day’s activity. The White Island Tour company sail the Pee Jay to this isolated island in the Bay of Plenty. 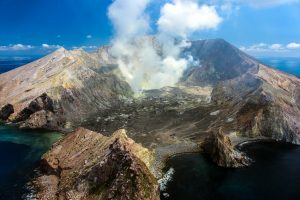 A full day trip lasting 5 to 6 hours, the boat will visit White Island and allow visitors to explore this magical landscape. A photographer’s dream, experienced guides give a 1 hour tour of the island including the now abandoned sulphur mines. Arriving back in Whakatane, a 1hour 10 minute drive along highway 2, west, takes you to the town of Tauranga. Spending the night at the Hotel on Devonport, which is located on the main high street with secure underground parking for your hire vehicle. A waterfront promenade in Tauranga leads to a rail bridge which crosses the bay. Mount Maunganui has more strenuous walking trails and panoramic views from the top. Tauranga is ideally located for the Wairoa River which provides the best Whitewater Rafting experience on North Island. River Rats operate these unique rafting trips on the dammed Wairoa River. The hydroelectric power station releases a torrent of water only 26 days a year, so check the available dates and book in advance. The River Rats starting base for this trip is a 20 minute drive from Touranga. Read more about my New Zealand Whitewater Rafting experience on the Wairoa river! 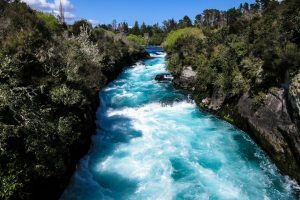 If the dates don’t match up for your itinerary, not to worry, there are plenty more rivers and whitewater rafting opportunities on the North Island, which can be easily fitted into this route. It’s a 2hour drive north up the Coromandel peninsula to Hotwater Beach, your final geothermal encounter along this route. Hotwater Beach has a small stretch of sand where hot (65c) geothermal water rises up through the ground. But it’s only accessed 2 hours either side of low tide, otherwise the sea water covers it completely. So check the tide timings and plan appropriately into your itinerary. Visitors should take spades to dig a small bath-tub sized hole out of the sand, in which to enjoy the hot water! Accommodation here is available at Hotwater Beach B&B. The longest drive, of this itinerary, a 400km (5hr 15 mins) journey past Auckland will take you to the visually stunning Bay of Islands. Arriving in Paihia, I can highly recommend Talton’s Lodge, situated on the hill overlooking the bay. It’s a small family run B&B with very comfortable rooms with each having their own private Jacuzzi. Perhaps the highlight of any North Island Itinerary, Bay of Islands does not disappoint. 144 small island dot the landscape of this unique bay, home to bottle nose dolphins. The only way to visit this area , is by a boat cruise. The Carino is a family run catamaran which will unfold it’s sails as it glides through these turquoise waters. A bucket-list item, swimming with Dolphins, is a unique activity which only the Carino can offer (strictly licensed by the New Zealand government). 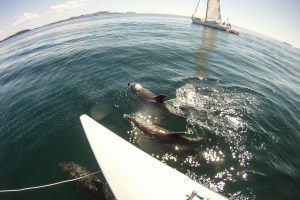 Whilst the trip doesn’t chase dolphins, they actively seek them, although its all down to whether the dolphins want to play with the boat or visitors, which is the determining factor. If there are no babies or feeding dolphins then visitors will be allowed to swim with these beautiful Bottle-nose dolphins in their wild habitat. Back to Talton’s Lodge after an evening meal in Paihia, enjoy your private jacuzzi, before it’s time to finish your North Island Itinerary. 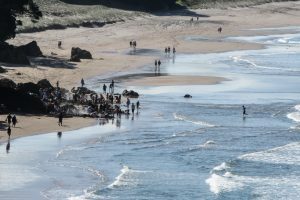 Read more about visiting the Bay of Islands and swimming with dolphins. The final leg of your road trip, is driving south back to Auckland. It’s a 3 hour drive. For more New Zealand adventures visit my New Zealand page. If you have any questions about my itinerary or the hotels listed, please leave me a comment below. 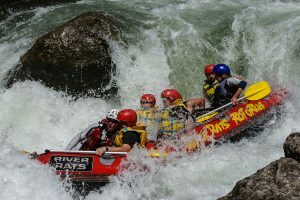 Previous Why go Whitewater Rafting in New Zealand? 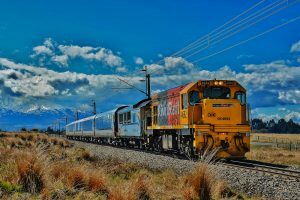 World’s most scenic Journeys; Tranzalpine by Highway or Railway? You’re going to have a tough choice between visiting Australia and New Zealand, I hope you have time for both! Australia is such a huge continent, but you can easily circumnavigate New Zealand’s Islands in only a few weeks! I’ll have some great content later this year from my travels to Australia, so stay tuned and subscribe! 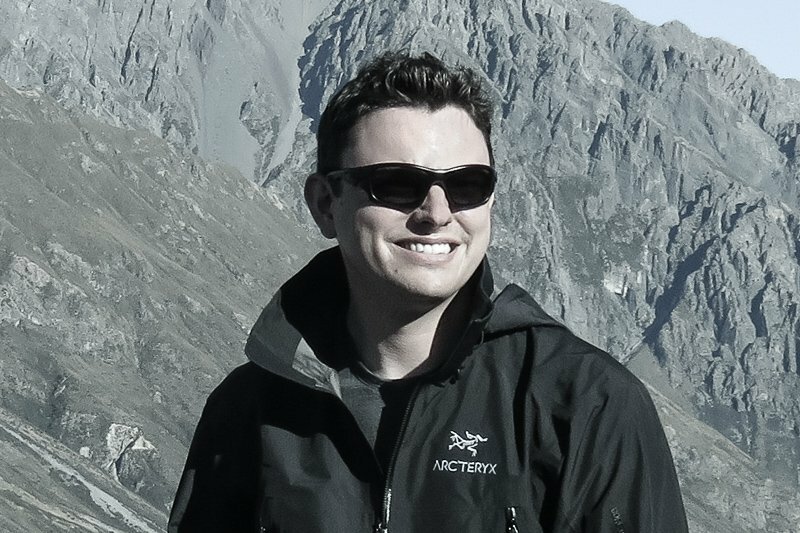 Join me on a journey across all 7 continents as I fly around the world as an Airline Pilot. Let me inspire and inform you about Flying and Travel around the World. 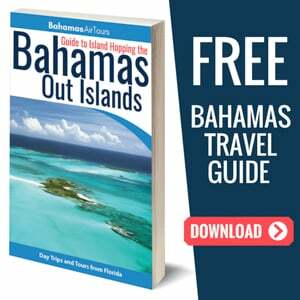 Get my FREE Travel Packing Checklist by subscribing to email!